An abandoned British fort floating out in the ocean, claiming independence as a micronation. Too bad all the other countries of the world don’t recognize him or take him seriously. He originally had green eyes, something that was done to make him look like a younger version of England, but they were later changed to being blue. His hair is blonde, but it ranges from being pale blonde to dark sandy blonde depending on the artwork. Like all other colonies of England, he possesses thick eyebrows. As the son of a powerful nation like England, he has no respect for him whatsoever and calls him “Jerk England.” England often gets annoyed with him and tells him to leave him alone, but deep down, he does care for him. Latvia and Sealand are good friends, probably because they’re both small nations and have a similar physical age. Sealand was also shown to be on friendly terms with Seborga and Wy because of their status as micronations. He’s got a rather hyper personality, always running around recklessly and freely. Most would see him as being a little brat, but he claims that he’s going to rise to be an extremely powerful nation that will take over the world one day. Although he’s rather small, he’s made completely of steel, so he’s practically indestructible. He loves the internet, playing games, soccer, and chocolate bars. Sealand ends the majority of his sentences with “na no desu yo,” which was said to give him an “enthusiastic” sort of vibe. 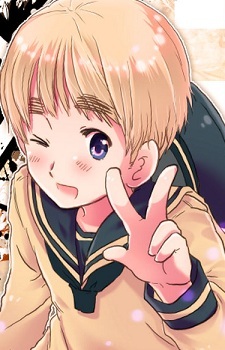 Sealand’s nickname for himself is “Sea-kun,” which he uses when talking in the third person.